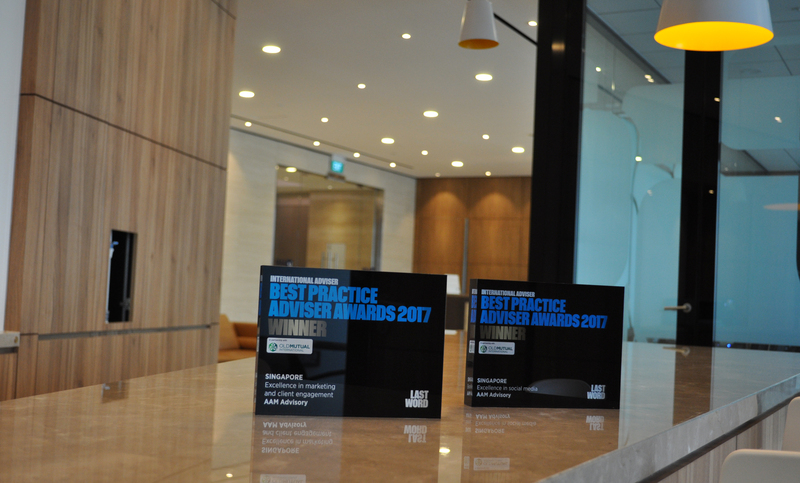 We are pleased to announce that we have won at International Adviser’s – Best Practice Adviser Awards again. This year we won in 2 categories; “Excellence in Marketing & Client Engagement” and “Excellence in Social Media”. The awards are judged by an independent panel of industry professionals from a range of institutions and it recognise financial advisory firms that are, or have made the transition towards best practice. I am delighted that we continue to be recognized by our fellow professionals in these awards and I am very proud to accept on behalf of our outstanding Marketing and Digital Marketing team, whose creativity and dedication are so instrumental in driving our business forward. Here at AAM, we believe in building long term relationships with our clients, this is also how we approach our marketing strategy. We value all the relationships with the groups and organizations we work with and pride ourselves that these too are long lasting relationships. We are thrilled to receive this recognition and we thank our team and our partners for making this possible. AAM is a beneficiary of social media as an enabler to improve conversations with audiences looking for value in advice. Our team is thankful for the support from every department within AAM, this synergy has shaped the content that we hope has improved perceptions of our industry. We are heartened to be recognised for putting our audience first, we look forward to improving through new initiatives. Please follow AAM to stay tuned!